In that regard, Michigan is far from the head of the class. It in fact ranks in the bottom half among the states in college attainment. Fewer than 30 percent of Michigan adults hold at least a bachelor’s degree. 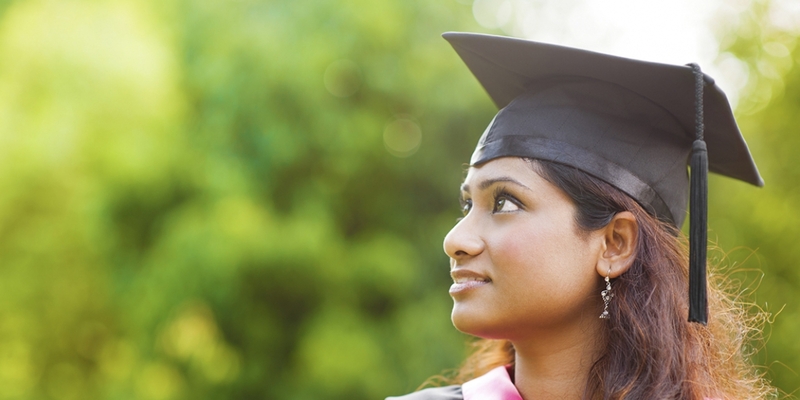 In Minnesota, nearly 35 percent of adults hold a bachelor’s degree or higher. Its median household income was nearly $8,000 higher than the national average of $57,627 in 2016. Michigan’s stood at about $5,000 lower. If Michigan had the same college graduation rate as Minnesota, the state would have 493,000 more adults with a degree than it does now. Those with college degrees will earn on average about $1 million more over the course of a lifetime than high school graduates. Their median weekly earnings in Michigan are nearly twice that of high school graduates. They are 70 percent less likely to be unemployed than high school graduates. The broader economic consequences of this education gap over time could be considerable. A 2016 Michigan Talent Forecast by Business Leaders for Michigan concluded that “demographic trends, an aging workforce, shrinking talent pipeline, and low education attainment will continue to threaten our ability to meet future demand.” Three-quarters of job openings paying above average wages require an associate’s degree or higher, the BLM study concluded. Past job projections by Bridge Magazine reached similar conclusions: more degree completions generally mean more opportunities for individual workers and statewide economic growth. College is increasingly hard to afford for Michigan residents. Students are leaving campus with higher debt loads. In 2016, 64 percent of Michigan college graduates left school with debt, an average of $30,327. That was 11th highest in the nation. At the same time, Michigan’s colleges and universities have raised tuition far faster than the rate of inflation. Adjusted for inflation, tuition at Michigan’s 15 public-university soared by anywhere from 91 percent to 171 percent from 2003 to 2015. Its average tuition ranked sixth highest in the nation. In 1990, Michigan students paid 39 percent of college tuition. By 2015, they were paying nearly 70 percent of tuition – again, sixth highest in the nation. In large part, schools turned to escalating tuition to compensate for declining state funds for higher education. From 2003 to 2015, state higher ed appropriations fell by $262 million a year, adjusted for inflation. That’s a 30 percent drop. And as they were saddled with higher tuition, thousands of borrowers slipped into default. Federal data showed 12.9 percent of Michigan borrowers who entered repayment between 2013 and 2016 were in default - up from 11.8 percent the year before. Community college remains a good bargain. Michigan’s community colleges have the lowest tuition in the Midwest and 16th lowest in the nation. Community college students nationwide are more likely to graduate without student loans – more than 60 percent nationwide graduate without taking out loans. In 2017, Michigan’s legislature and governor boosted funding for the state’s public universities, adding $28 million, a 2 percent increase. That’s a relatively modest hike in light of larger cuts in recent years. There’s plenty of unresolved debate about how best to produce more Michigan college grads and assure students and families can afford it. Michigan residents have declared college affordability a major public priority. Public universities plead for more state funding. Gov. Rick Snyder asked for more innovation and efficiency on campus. Business groups call for better collaboration between colleges and employers to create a more effective school-to-work pathway for students. Michigan’s next governor and legislature elected in November 2018 will surely have to face these talent development and college un-affordability issues.